South Africa’s year on the up means they are building momentum into a World Cup year. They will need that momentum from the first kick-off in Japan as they face reigning world champions New Zealand in their opening fixture and, depending on the pool outcomes, could face Ireland at the quarter-final stage. Email “Captain Kolisi proud to restore respect for Springboks in Rassie's first year”. 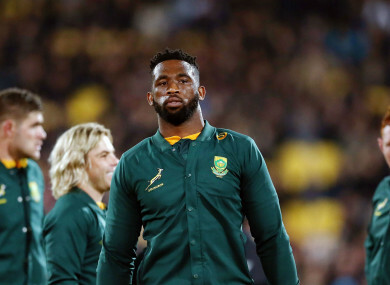 Feedback on “Captain Kolisi proud to restore respect for Springboks in Rassie's first year”.